How Do I Send My GRE Score Report? After you take the GRE, you may ask yourself, “How long does it take to get GRE scores?” and “How do I send my GRE score report?” In this article, I’ll tell you how to send GRE scores to schools as well as answer other GRE score-related queries. Let’s do it! The process of sending GRE score reports can seem downright confusing at first. But have no fear. I’m about to demystify the act of sending your GRE score report. Read on to learn everything you need to know. Magoosh gets this anxious question from many budget conscious students. It’s understandable to worry about various testing fees. There are many different potential fees and costs for taking the GRE. 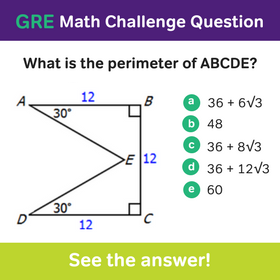 But I’m happy to tell you that the answer to this question is yes— yes, you can send your GRE scores for free! And actually, you can send as many as four score reports for free. After you pay your registration fee, ETS lets you select up to four different schools as recipients of your GRE scores. On the computer-based test, you select your four score recipients in the test center, on test day. If you’re taking the paper-based GRE, you select your four schools at the time of registration. Those four institutions will not know the other institutions, if any, to which you are submitting your scores. An institution will only see your GRE scores, your intended major, and some basic personal info. Be cautioned, however, that only the first four scores you send are free. If you order any extra scores beyond the first four free ones, you’ll need to pay a fee of $27 for each additional score report. Can you send GRE scores after registration or after test day? You can only send out the free score reports on test day (for the computer-based GRE) or at the time of registration (for the paper-based GRE). In light of this rule, you may wonder if you’re allowed to request additional score reports (the ones that have a $27 fee) after you take the test. You definitely can order more score reports after you name your initial recipients . In fact, you can request additional GRE score reports for as long as your scores remain valid. This brings me to the next score-related question that GRE test-takers often ask…. For how long are GRE scores valid? This is a somewhat complicated question. ETS has made some recent changes to their rules for GRE score validity. Let’s start with the old rules first. If you took the GRE before July 1st of 2016, your scores are valid for five years after the end of the ETS “testing year” in which you tested. What is an ETS “testing year”? It is a one year period that starts on July 1st of a year and ends on June 30th of the next year. This is a confusing concept, so I’ll explain with an example. Let’s say you took the GRE on April 6, 2012. The end of that ETS “testing year” was thus June 30, 2012. Then, 5 years from that date would be June 30, 2017. After that date, your scores would no longer be valid. Now, let’s look at the new rules, which apply to any exams taken on or after July 1, 2016. Under these new rules, your scores will expire after a five year period that starts on the test date. So if someone sits for the GRE on– say– September 25, 2016, their scores will expire by September 26, 2021. How long does it take to get GRE scores? And how long does it take to send them out to schools? These two questions go hand-in-hand. As a test-taker, you’ll get your official GRE scores 10-15 days after your test date. Your scores will be sent to you electronically, appearing in your ETS account. But will your schools be able to see your GRE score report in 10-15 days as well? That’s the big question. The short answer is “it depends.” Your schools may or may not see your GRE scores as soon as their generated. It all depends on the method that a school uses to receive GRE scores. Some schools choose to receive GRE scores electronically through one of two services: the ETS Data Manager Portal, or an automated server-to-server feed. ETS sends its scores through ETS Data Manager two times a week, on Tuesdays and Thursdays. In contrast, automated server-to-server feeds send the scores automatically, in real time (hence the name). So if your recipient school has an automatic feed with ETS, they are guaranteed to see your GRE scores at the same time that you do. Of course, there are also some schools that can only receive GRE scores by mail. Here, the turnaround time can vary a lot. First, let’s look at the score recipients that you select before you receive your scores. For these schools, ETS will send you scores out in the mail on the same day that you get your scores online– 10-15 days from your test date. For score reports that you send after you’ve gotten your scores, the mail goes out a bit more slowly. If you go into your ETS account and order an additional score report online, your scores will be put in the mail within five business days of your request. You also have the option to fax or mail a GRE Additional Score Report Request Form to ETS. If you go this route, ETS will put your score report in the mail ten business days after they get your request form. Once a GRE score report is out in the mail, it can take anywhere from a few days to a few weeks for your school to get the scores. It all depends on where your recipient school is, and whether or not your recipient is in the United States. Ultimately, mailed GRE scores could arrive at their destination anywhere from a few weeks to a few months after you request them. If you’re worried that mailing your GRE scores will take too long, check with your school to see if they receive scores electronically or by mail. If your school is a “mail only” school, you might want to encourage them to start using ETS Data Manager. ETS Data Manager service can be set up almost instantly, and is offered to schools free-of-charge. 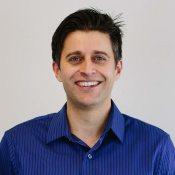 Editor’s Note: This post was originally published in June 2012 and has been updated for freshness, accuracy, and comprehensiveness. Should I Take the GRE Again? Is it Worth it? 81 Responses to How Do I Send My GRE Score Report? I have sent my score after test to 4 universities. But I have selected wrong stream. Can I change it any way or is their any way i will be able to ask universities to consider it accordingly? Please help. I’m a little confused as to what you mean by “wrong stream”. Could you elaborate? Generally, though, once you’ve sent the four scores, you are unable to cancel that order. Actualy I have selected Computer Engineering instead of Computer Science. So I am concerned whether I will now again have to apply this colleges individually. Oh, I see. You know, it might depend on the college. My advice is to email that college and let them know. Often colleges will respond to you and accommodate that request. If not, you could possibly follow up with ETS, but I’m not sure if that will be as fruitful as an avenue. Hey Chris I have a question for you. I would really appreciate if you could answer me asap. I have my GRE on 10 Oct, 2014. I will be applying in the US univs only. I guess my official scores will be sent to the designated universities up till 25 Oct. Do you have an idea how many days will it take my score cards to reach universities? Also how long the ETS will take to send additional score reports? I am applying for the PhD program so the deadline is mostly Dec 1. If I could buy some time then I would re-schedule my exam to 19 Oct as I am not keeping well. But I can do that only if I will be able to meet the deadline. Please help. I’ve just registered for the GRE and will be taking it in a few weeks. I was surprise, however, that nowhere I was asked to indicate where I want my scores to be sent to. Will I have the chance to do that during the test? Thank you for your response. Does that mean that I need to write down the GRE code for institutions and departments so I can enter these codes during the day of the exam? Nope, you will be given a list of codes. 🙂 I’d suggest reading this page! : http://www.ets.org/gre/revised_general/scores/send/ Best of luck! Thanks for the info. I had one clarification question.. If we don’t select 4 institutions the day of test, are we basically losing the four free scores? (ie we’ll have to pay for ALL score reports after test day regardless of whether you’re sending your most recent score, all scores or any other ones?). The reason I ask is because I took the GRE before and it was an ok score so will be taking it again. If I don’t score better this second time, I would like to send my previous score. But I saw on the GRE site that on test day you can only send the most recent score OR all scores. But say I wanted to send only my previous score to some schools, I guess I won’t get to send 4 of those for free either on test day or after test day? Yes, that’s correct. You’ll have to pay to send your old scores and can only send, for free, the scores that you just received. Definitely a drawback, but at least you are not forced to send scores you don’t want to send. I highly appreciate you helping out everyone here. My question is that I have taken GRE a year ago and scored 314 and sent the report to Cornell. However I didn’t apply until now. I really want to get into Connell for a phd and am afraid my score isn’t good enough. If I take the test again and send my score to Cornell, is there any way I can be sure that they will be using the latest score? I don’t want to spoil my chances by letting them know I had to retake to improve my scores. Could you please suggest out of your experience what will be a better way to proceed.I have a master’s from a good university in US and 3 years experience with a highly reputed MNC. I wanted to know that whether those four universities name which we have to submit after the test can bes sent later or not also while giving the score to universities they check only for the GRE score or they require TOEFL score? . I will be giving GRE in Sept 2014 and not yet scheduled for the TOEFL. You can send those scores later–but you’ll have to pay to do so. As for TOEFL scores, you’ll have to submit them if you are a non-native speaker and a resident of a different country. So do I need to submit my TOEFL scores along with my GRE scores. Since I had not scheduled for TOEFL and will be giving TOEFL after my GRE. So i dont understand whether to send TOEFL marks or not to the university. 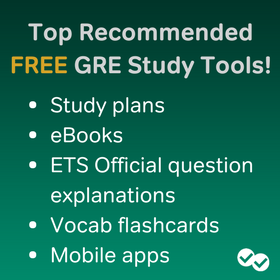 You do not have the submit TOEFL scores at the same time as your GRE. But colleges, in making their decision, will ultimately need both scores. So you’ll have to get them a TOEFL score before the deadline. there is a mistake in my date of birth while i registered for GRE,But now i am in the process of applying to universities in USA.In all documents there is common date of birth…….will this cause any problem to my admit in university………….how can i edit that information in MyGre account…please reply guyzzz……….i was in a confused state………………its urgent please reply………………. I, honestly, am unsure. I think it best to contact a program or two about the discrepancy with your birth date (my sense is it shouldn’t be an issue). With the MyGRE account, you should send a message to the help/support there to see how to remedy your situation. Can you tell me how much time, ETS will take to send my score to institutions? I have sent my gre score but there is no reply from universities? Because I’ve never sent scores myself with the new format, I can’t answer from personal experience, but it seems that the schools should know about your scores pretty quickly. It will take about 2 weeks for them to know your complete scores, including the essay. I took my GRE on 6th january and to better my scores I took it up again on 28th. Each time i selected four universities to send it to. While my Q and V scores picked up the second time, I scored lower on AW. I am in a fix now. I cannot remember if I chose to send all my scores on 28th or just the most recent ones. Is there a way I can confirm if I have sent both my tests’ scores? Can I send my scores again to the same universities? That is a good question–and one I, unfortunately, don’t have the answer to :(. You might want to check your score report to see if there is any mention of the course and universities you applied to. Sorry I couldn’t be more helpful :). “Have you taken the GRE?” yes/no. I don’t want to lie, but submitting scores that don’t look good to a program that doesn’t require them seems foolish. Do colleges have a way of verifying if you actually took the GRE? Is there any way to cancel the score I requested to send to the institution after already processed?? is it too late to cancel old one already requested…? Unfortunately, it may be too late! If you’ve sent the scores, then they probably have access to them. But don’t despair :). Admissions is going to notice the jump you made in this latest test, and that’s going to count a lot more than a score that you got three years on the old version of the GRE. Hope that helps allay any anxiety :)! Magoosh’s collection of assorted words was very helpful. Those words popped almost everywhere in the verbal section. I gave my GRE in 2013 and was going to follow the process of applications but due to some personal problems I won’t be able to apply for next 1-2 years. Since I used the Score Report option and listed the 4 universities, do I have to send my score to those 4, later, when I will be actually applying? Do they keep our scores in records or we send them again as in my case? Any help will be highly appreciated. Thanks. Good question! Scores are valid up to 5 years, but if you’ve already sent those scores to 4 universities, you may have to do sometime in the future as well, since, depending on the college, those scores might expire after a year or so. The worst case scenario is that you will just have to pay the fee to resend those scores or to send them to other institutions. I have submitted my application and as per ETS site, my GRE scores have been reported. But, the college mailed me saying ETS scores are missing. How to go about it? That’s strange! I’ve never encountered anyone with a similar problem :(. What I’d do is contact ETS and let them know the situation. At the same time, you should also follow-up with the school because it may be a mistake on their part. One other possibility is you didn’t submit the school in question, when the test prompted you to submit the specific names of the institution. I hope you can get this resolved soon :). I just took the GRE yesterday, and I did not do as well as I had hoped. I also did not send my scores to any institutions because I was not aware that there would be a charge to do so after the test date. I would like to take the GRE again, but the earliest date I can retake it is Jan 28th. My scores MUST reach the institutions I select by Feb 15th. Will this be enough time for my scores to be sent? The writing portion does not have to be calculated into my score, by the way. Sorry you didn’t do as well as you’d hoped! But no need to worry about the deadline, if you are taking it in the end of Jan. The scores should be sent almost instantaneously–though it may be a day before the school actually sees them. Since writing scores don’t matter for you (as you probably know they take a little bit longer to receive), you’ll have a two-week buffer :). I regret not enrolling to magoosh before :(. But its never late. I am loving the videos and all your resources. I am confident to score better this time. Thank you for a great and helpful blog post. Here’s my dilemma: The M.A. program I’m applying to as agreed to waive the GRE requirement for me because I already have a Master’s degree from before. However, I plan on taking the GRE anyway to improve my chances of getting a merit award from the school (I really need it). The plan was to submit my new scores to the school if I do well, but to not submit them if I don’t do well. Now when I was reading through my prep study book, I realized that I will have to accept and agree to send off the score before I know what my score is! Do you know if it’s possible to stop the score from being sent if I discover I didn’t do well at all and I’m better off with the waiver? That is actually NOT the case. You can take the test and see your scores without having to send the scores to any school. So definitely go ahead and take the GRE. At the end of the test, when it asks you the schools you want to send your scores, don’t put any schools (you have this option). Oh and I am now a Magoosh subscriber and I am very much enjoying your videos on verbal and analytical writing. You offer a great service! Thank you! Great! I’m glad to here you are enjoying the videos :). Let me know if you have any questions along the way! So I took my GRE last year and send the score immediately after I got my score report. Scores are valid for up to 5 years. That means the schools will still have them on file. You should just send a note along with your application, saying that you sent the scores last year, in case they have trouble finding them. I have a question about sending the GRE scores to schools I am applying: I just took theGRE on Nov. 11th and the official score had not been published yet by now. Since some of the schools I am applying for are due December 1st, should I just send the scores now or I should wait until the official scores be published? Not sure if I could send scores before they are official. I think the only real difference in the official scores and the ones you saw test day will be the inclusion of an essay score. When the GRE was instated in its current form (Aug. 2011), I think the equating was slightly off so that some people end up receiving a different–albeit very slight–difference in scores. I haven’t heard anyone report that happening at all recently. So as long as you feel confident that you did well on your essays, you should send your scores now (and you can send the scores–sans essay scores–before they are official). I am curious… When I took the GRE in the summer I sent it out to 4 schools I thought I might apply to this fall. Now as I’m applying, some places say “send your scores to our institution code, not to the department code.” I sent scores to the institution code but then also specified what department or field code was relevant to what I’m applying to. Do my scores go to the institution and the departments if specified? or do they just go to the departments I listed instead of the main graduate institution at each place? On my GRE account, it lists all the schools institution codes I sent them to but also the department codes I listed. I just want to make sure my scores were sent where they were supposed to go! That’s a good question! I’m not really sure whether the scores go to just the department or to the institution as well. Was there a reason you wanted the scores to go to the institution in general (were you applying to multiple departments in the school?). If not, the scores probably should have gone to the right place. One thing you could do is email the department of the schools, and make sure that they have received your scores and whether the institution also needs to have your scores. I am taking the GRE this coming Monday for the first time, however I do not plan on getting all of my school applications out until the beginning of December. Would it still make sense to send me scores to the four universities (I will be applying to more but I know those four are free from testing center) even though they do not have any other components of my application at that time? Is there a downside or is that completely irrelevant? From a timing perspective, trying to understand what makes the most sense. Thank you! I would just send out your scores to the those 4 schools as soon as you take the test. They will just have your score on record and you can add the other parts of your application later. I don’t really think there is a downside in using the ScoreSelect option test day, esp. if you know you will definitely be sending your scores to those colleges. I wasn’t satisfied with it so decided to give it again. I gave my second attempt today and scored 311(Quant-165, Verbal-146). My question to you is that if I choose the second option, will the school be considering the best of the both scores or not ? Kindly reply, as I don’t want to give GRE again, the third time. Sadly, there is no clear answer to your question. It depends on the institution. I’d like to say that the program takes your best score, but the only way to really find out is by contacting the program or programs you are interested in and asking them. Alternatively, you could go to thegradcafe.com or urch.com and post your question, an perhaps someone who has dealt with that university/program will be able to give you a clearer answer. I am one of the subscribers for magoosh and I am finding it very helpful! As far as the scoring, I have a quick question. How long will it take for the score to reach universities? For example, if my application deadline is feb 15, when would be the latest date that I can take the test in order for the score to reach the univ. before the deadline? So I snooped around online and was unable to find anything :(. Even the gre.org site does not mention this one important detail. 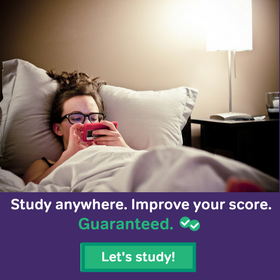 Since the GRE is computer-based and the admissions of your schools are–presumably at least–electronic based, I’m guessing that schools will get your scores almost instantaneously. One way of verifying is to contact one of the programs you hope to get into with the same question you asked above. My guess is they will tell that you will they receive right away. Then you can take the test close to the deadline (though I recommend signing up ASAP as many testing windows close and you don’t want to have to drive 5 hrs to a testing center :)). On Gre day should i remember(memorize) the ETS code of university to which i want to report my GRE score to?? Isn’t there any other way by remembering the state in which the university is present and filtering out?? Test day you will be able to look up the university and the code to that university. When they ask you to enter the code they give you a drag down box that lists all the universities (they break it up via state). Can you please let me know the relevant forum where i can search about universities and also can interact with the students and know about their reviews. I took the GRE yesterday and I was not satisfied by my scores, but I sent the scores to 4 universities anyway. Now i want to retake the test. Will i be able to cancel my scores that are already reported? Or will they take my best score? How does this work? Sorry your test didn’t go so well :(. Unfortunately, you won’t be able to “cancel” those scores as far as the four universities are concerned. I’m not sure if they will average out the scores or if they will take the best score. It really depends on the school. Good luck — and I recommend retaking the test even if none of the four schools accept the best score, but only average the scores out. I am just finishing my second year of college, and I’m writing my GRE in May. After I finish my test and send in the score report to the 4 universities as required, will i be expected to do the same again when I apply to these colleges? Because I’ll be sending in the scores before I would have even applied formally to the college.. so how does this work? When I apply to the college (in late November- December) how do I indicate that I have already sent in my scores previously? Yeah i have the same doubt. Please reply! I don’t really understand–am i supposed to memorize the codes of the school I want to send my scores to? Also, if I don’t like my score, and chose to retake it, do the graduate schools see the previous score? No worries, you do not have to memorize school codes. Test day you can select the school you want to see a score report to and the computer will provide the corresponding school code. Schools will only see your score reports if you send that report to a school. Let’s say that you decide to send a report to a school, then they will always have that score. In other words, unless you send a score report to a specific school, that school will never have access to it (they won’t call ETS asking for a score report). I have taken my GRE recently and got a score 308(Q- 157, V- 151) and GPA in collage 7.52 /10 .I am planning to pursue my MS in Electrical Engineering. Do i need to retake my GRE to get into Top colleges (Top 30) ? I just scored 320 (Q: 167 & V: 153) thanx to your frequent insightful advice. I would certainly admit that just following your blog increased my score by about 8-10 marks. But I have low GPA ( 6.5 / 10 ) from one of the best colleges of India. What all places do I hold a good chance for selection for MS in Comp Science ? I have good recommendations but no publications. Congrats on the score! I’m happy the blog was such an instrumental part. The thing is admissions is not my area of expertise. My hunch is you are definitely a competitive candidate for reputed state schools. If i were to write the Subject GRE in november, having already sent in my applications in november, is it possible to report the score to these universities later? I’m not sure about the Subject GREs. I think your best bet is directly contacting the schools you are interested in and asking them their policy. I registered for GRE few days back by paying $175 through my cousin’s credit card details. today she told me that Rs. 350 has to be paid and when she inquired the bank told her that it is the extra amount related to $175 payment. Now she has to pay Rs. 850 extra (500 for crossing the limit of Rs.10000). Do ETS charge any extra amount than $175. I didn’t subscribe for any other service. Should I ask ETS about that amount? Please reply. I would take this issue up with ETS. Sounds like there may be a billing problem only they can resolve. What if we are not sure of the institutions that we are going to apply at the time of writing GRE. I mean, I can send scores to 4 institutions for free right from the exam center after writing GRE, but it is only after I have done much analysis of the acceptance rate for my GRE score, cost of attendance etc. would I be in a position to send those scores. Would I get that chance to send scores for free later and not at the center right away ? Well, that’s the downside. The only way to send scores after taking the test is by paying money. GRE knows you are at a disadvantage and that’s why it charges a fee. At the same time, it does allow you to send free score reports the day of the test. I guess it balances out :). i’ve given my gre test on june 27th….and i scored 311(148 V,163 Q)….can u plz suggest me some universities in USA for computer science stream…..
my aggregate in UG course is 83% till now. I think this link will help :). I am having my gre at october 10 and i have started to use maggosh Gre Prep , and for math is perfect , for verbal vocabulary keeps me away , and i am now started with Barron’s 1100. And i am very poor in vocabulary , give me a good suggestion to continue my verbal preparation. If you still have questions, after reading through it, let me know :). At what point I can cancel my scores? is it possible to see the scores and then cancel them? and If I do cancel the scores, then do I have to wait for another 30 days to retake the test? or I can take within a week. Unfortunately, you cannot cancel the scores once you’ve seen them. As soon as you’ve finished test you will have a few minutes to decide whether to cancel the scores. I’ll be taking my GRE in a month or so. I’ve been getting perfect scores on quant. I want to work on my verbal. Just wanted to know if I can subscribe to your verbal only in a 30 day plan? Btw, I’ve completed my tutor’s material(2 books), Kaplan, currently doing Barron’s with A few Manhattan books on my shelf, waiting. Is there anything I’ve missed? Yes, you can use the Magoosh verbal section for a 30-day plan. Meaning, you can sign up for just the verbal section. That should be plenty of time to go through most of the questions :). I was unable to find a link for just the verbal in a 30 day plan. Can you help me with that? Also, which books are best for verbal practice? I’ve also completed the official guide. Actually, I think I miscommunicated that :). We only have a 30-day plan for Math + Verbal combined. For verbal practice it is a mixed bag: for beginners Princeton Review is okay. Your best bet overall is Manhattan GRE, though its TC/SE book is not the greatest. You can also use Barron’s, which is okay for verbal.